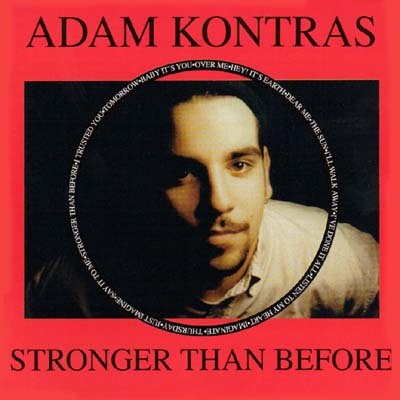 Buy this CD with Stronger Than Before CD ~ Adam Kontras today! Dubbed the "Sgt. Pepper of A Capella" by a member of another a capella singing group, Hearing My Thoughts is definitely original. Done in its entirety while running a syndicated overnight show from 1997-1998, Adam allows the listener to jump inside his head and feel his emotions. 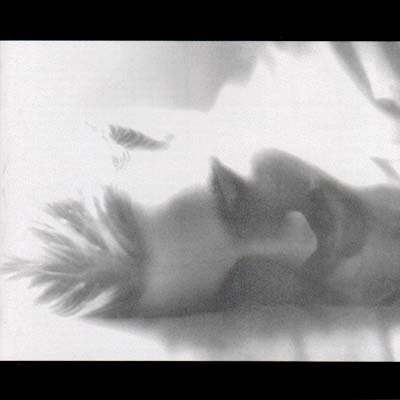 Hearing My Thoughts is basically a diary of Adam's life from 1997, and nothing is left to the imagination. Production-wise, forget everything you've ever thought about a capella. This doesn't beat you over the head with crazy "wocka-dos" and "doo-wops", the sounds are pure feeling and emotion and a pleasure to listen to. Don't miss the opportunity to experience this amazing work of art. Don't believe the hype, because it does not do this disc justice. Not only do you get to hear Adam go through one of the toughest periods in his life (losing his wife and his job in less than three months), and all the emotions that accompany those events, but somehow, he finds the sanity to record two a capella versions of Beatles classics: "Eleanor Rigby" and "I am the Walrus." Not only are these songs worthy of the title "Beatles cover songs," "Walrus" is the absolute coolest thing you will EVER hear. Period. i received your disc today. it's great - i'm listening to it right now at work. it has a little bit of everything - as well as beatles covers!